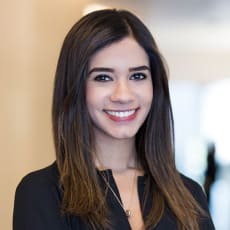 As an associate in the labour and employment practice area, María Regina Torrero Ordaz focuses on day-to-day employment and social security consultancy and transactional and due diligence matters, as well as employment restructurings. Regina has actively participated in personnel transfers, homologation and implementation of benefits, employee investigations, massive redundancies and labour audits. Before joining Hogan Lovells, Regina handled transactional employment matters at a full-service corporate law firm in Mexico. She obtained her law degree from the Anahuac University in Mexico City in 2015, with an outstanding performance in the law degree general exam (EGEL). Regina holds a Diploma in Corporate Law from The Autonomous Technological Institute of México (ITAM) and Legal English studies from Free School of Law (ELD) in Mexico City.